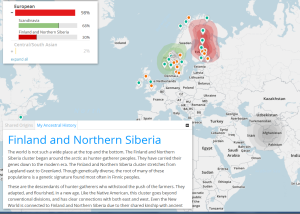 myOrigins is part of the Family Finder-test, and looks at biogeographical ancestry, by comparing DNA-patterns in your test with various reference populations. It is not an exact analysis of where all your ancestors are from, and the results must be viewed with caution. How is the analysis made? DNA-segments from the autosomes are analysed, and compared with DNA-patterns from reference populations, to see which ones of them that are most similar to your own. 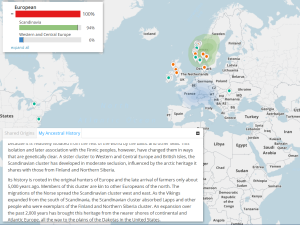 Where the main Family Finder-analysis focuses on the closer 5-6 generations in the match list, the myOrigins part will reflect ancestry from some thousand years back, since they use more stable segments for the analysis. The pattern from your analysis is compared to the patterns typical of the reference groups, and then “weighted” to find approximate percentages. Small components (under 2-3 %) are often “mathematical” to balance out that you do not exactly match the larger groups. It does not necessarily mean ancestry in those areas. 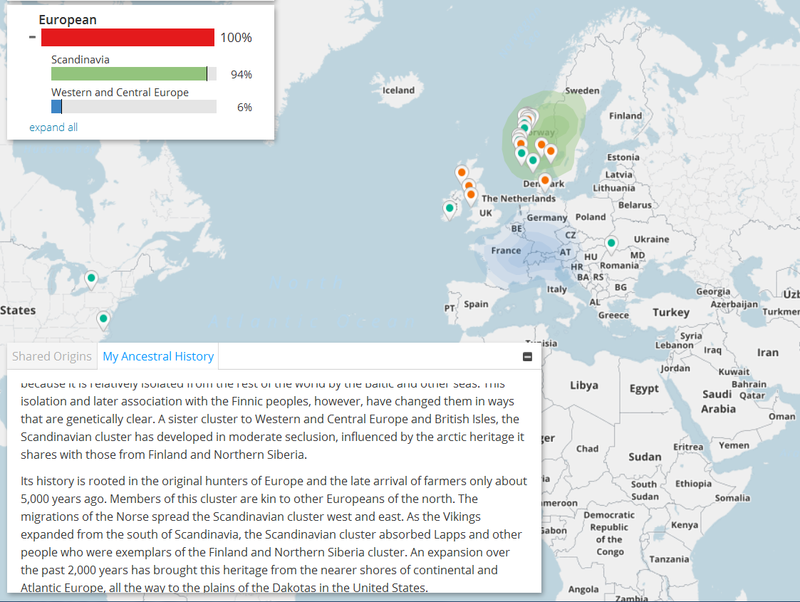 The reference groups, or reference populations, are collected scientific studies analysing a selection of people from the same geographical area or the same ethnic background, like Orkneys or Finland. The myOrigins test is far from an exact analysis; it can only give an indication of how well your own DNA matches the DNA patterns of the reference populations. Siblings can get very different results. Also remember that only around 700 000 of the almost 3 billion base pairs are included in the analysis, and only a selection of those again are part of the myOrigins test. 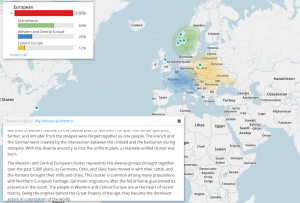 In addition to this, European peoples through times have migrated, moved and mixed, and also originated from the same three larger populations that make up Europeans, so it will never be possible to make a detailed distinction between origin from smaller geographical areas. We can talk about gradual changes south – north and east – west. Especially central Europe has a history of extensive migrations. 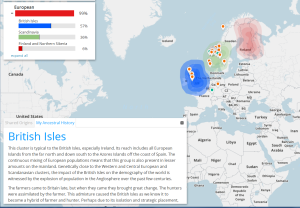 If your ethnic background is totally unknown, then it will normally not be possible to find absolute answers from myOrigins. You only get an indication. 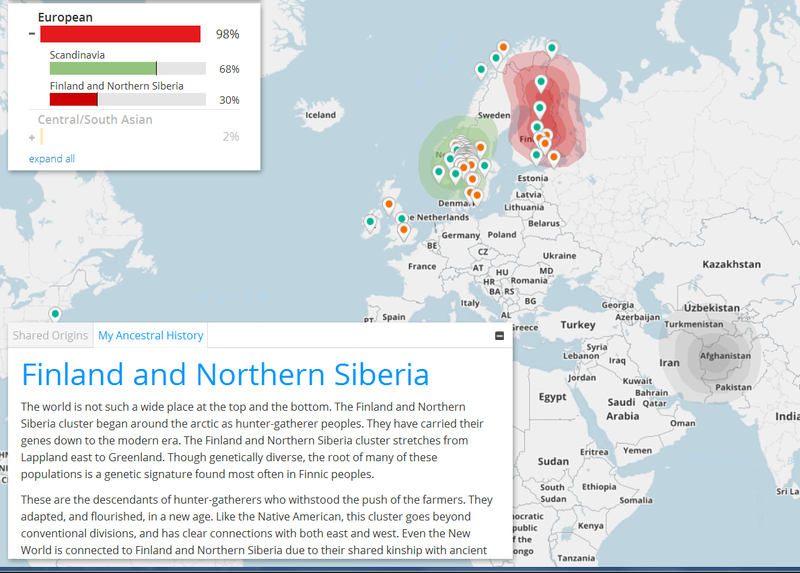 Most northern Europeans will be a mixture of the groups listed above. 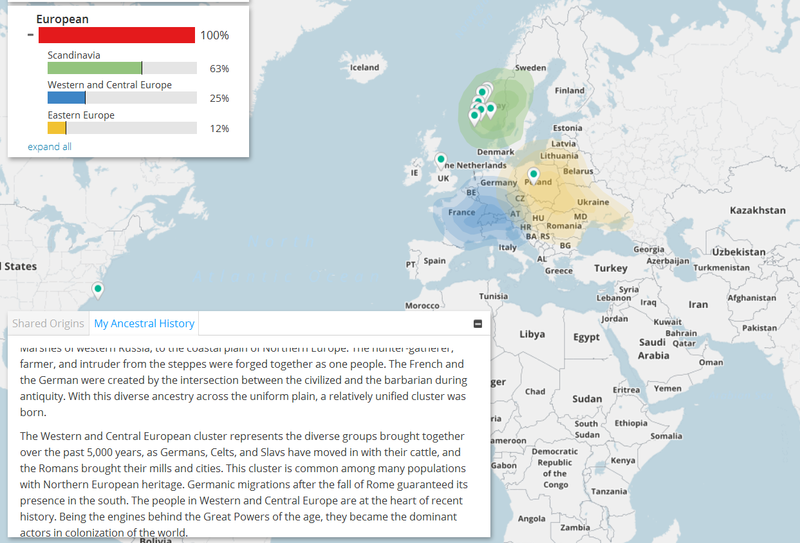 Only a few population groups with a smaller gene pool due to endogamy or genetic bottle necks will give more accurate answers, like Finnish or Jewish origin. 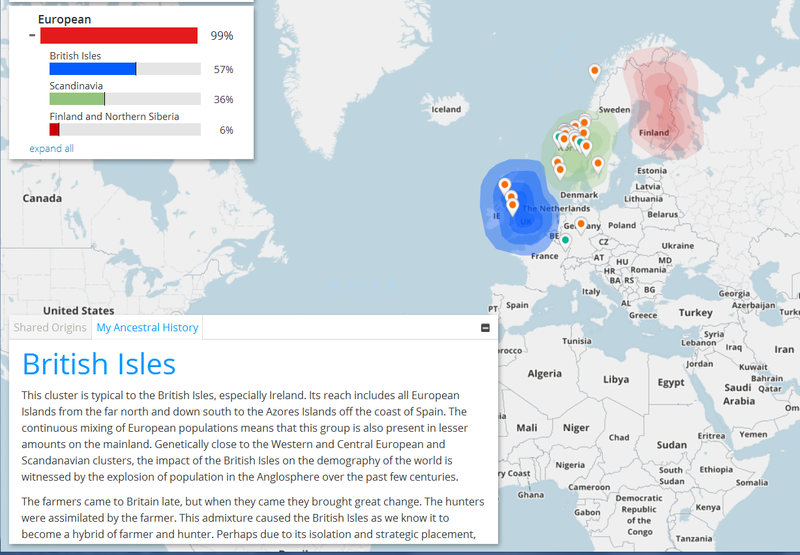 Many if not most people with British origin have a smaller Scandinavian population component, pointing at the common gene pool for Brits and Scandinavians during the last thousands of years. It could indicate Anglo-Saxon, Viking, Jutes or common ancestry from before that. 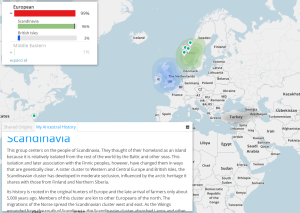 It does not show you have Norwegian ancestry within a genealogical timeframe.